This section is currently being broken down to a Q&A format to help answer the most commonly asked questions. For more information call us at (909)796-2897. Visit our page on how to rent a property for more information. Where is the UPM office located? The United Property Management office is located at 10535 Anderson Street, Loma Linda, CA 92354. Monday thru Friday 9 AM to 5 PM and Saturdays 10 AM to 2 PM. Key check out time up until 1 hour before closing or up until 30 minutes before closing if the property is close by. How often does the website get updated? Daily. New properties will have an icon that says �NEW� next to them for 10 days. Does UPM charge a fee to find me a place to rent? No. The only fee is an application fee that is used to run credit and process the application once you apply. UPM has a full staff dedicated to helping you enjoy your living arrangement. You can contact us anytime during office hours and after hours for emergencies. UPM has a full maintenance staff to assist in fast repairs and keep your home maintained. How many people per household are permitted to live in one rental property? Depending on the size of the property, there may be a limit. Standard limits are 2 people per bedroom plus 1 but may vary. How much is monthly rent with more occupants? 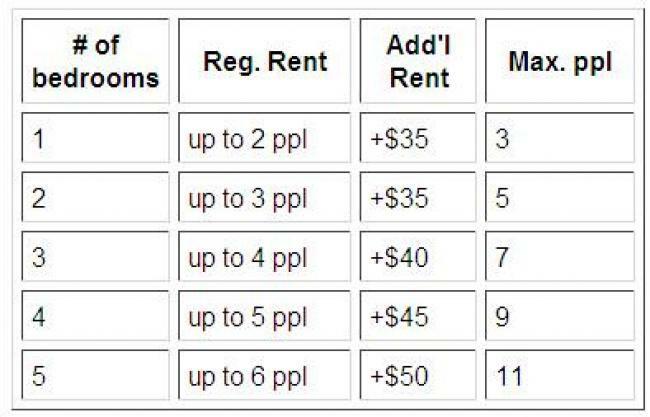 There are two possible rent prices depending on the number of occupants. All advertised rents are for the lesser price. If your household has more people, the monthly rent offer may go up. See the chart below. Studio 1 person or +$20 for 2 people max. What if the property I like isn�t ready to show? Call us at (909) 796-2897 and ask to be put on the call back list. Once a property is ready to show, if the property is still available then everyone on the call back list will be contacted. You may apply to rent at any time if you want to get pre-approved. Is a property ready to view? Any property on our website that says "Available to view now" or "Move in today" is usually ready to be viewed. Please call our office first to confirm. Come to our office at 10535 Anderson Street, Loma Linda, CA 92354. to check out the keys. Please call first to confirm that the property is being shown. UPM staff will need to see your I.D. and hold either $10 or a credit card while you have the key checked out. The $10 or credit card will be returned when you bring back the keys. All keys must be back by closing time, 5 PM M-F or 2 PM Saturdays. You can check out up to three sets of keys at a time. Sometimes. Each property may be different because the properties we manage are owned by different owners. In general, properties with new carpet or no fenced yard will not permit dogs. Cats or caged pets may or may not be permitted. You must disclose if you are going to have a pet living at the property with you when you apply. UPM does not support declawing of cats and will never require declawing. What is the increase in security deposit for a pet? What if I am thinking of getting a pet later after I move in? Before having a pet move in, you need to get permission from UPM. We may require breed info, size and weight to determine if the pet is allowed. An addendum to your agreement will need to be signed increasing the security deposit by $450 per pet. What if I get a pet without notifying UPM? This would be a breach of your rental agreement. Can I put a hold on a property? Usually holds are only done in the winter when business is slower. Call to ask if we are offering holding deposits. 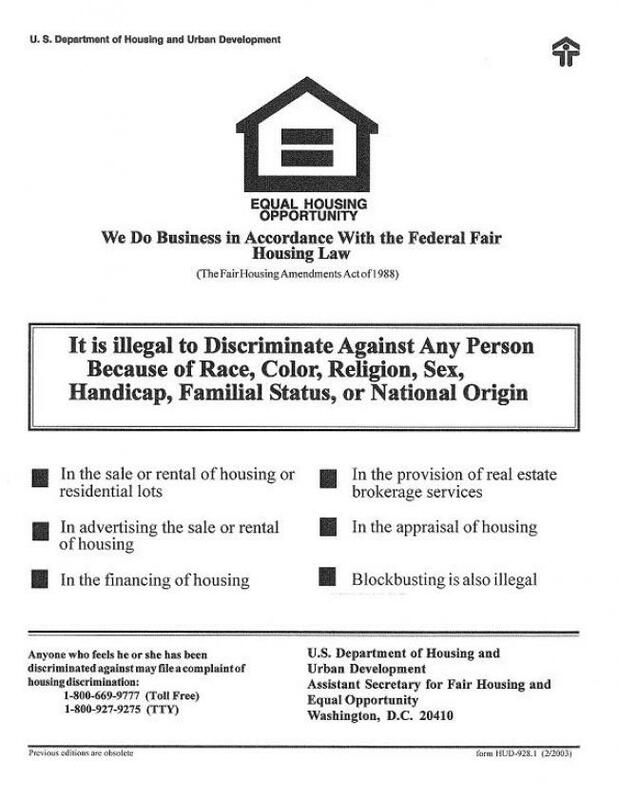 Under all circumstances, holds are only offered to approved applicants. You must apply first. When a property is on hold, all advertisement is stopped and the property is taken off the market as if you already rented it. Holds require a deposited amount that varies depending on the property. If you decide not to rent after having us place it on hold, you will be charged a pro-rated rent agreed to at signing for the hold. If you do rent the property, the holding deposit will go towards your future rent. Length of holds are two weeks max. Come into our office and pick up a rental application or download and print one from this website. Before processing applications, we will need 1. The application filled out in full, 2. Proof of income 3. Proof of current residence 4. $25 for processing fee / credit check. Residential history and current income will need to be verified in addition to an analysis of your credit history. This process may take hours or days depending on how busy our office is and how difficult it is to verify your information. Processing the application can not begin until we have everything required to process it. How much income does my household have to make to rent a property? All combined applicants verifiable gross income needs to be 3 times the rent. For properties renting at $1,500 or greater, income must be 2.5 times the rent. Co-signers need to have income of 4 times the rent to qualify as a co-signer. What if I don't have income but someone else will be paying my rent? Then that person will need to apply as your co-signer. A co-signer or guarantor applies for the property with you but does not live at the property. They are equally responsible for all terms of the rental agreement including rent as if they lived at the property. A co-signer may be used where income does not meet the minimum requirements. What if I�m paid cash? Bank statements can be used to verify consistent deposits over the last six months into your bank account. Income must be verifiable. We may also request copies of W-2 or 1099-misc forms if it is near the prior tax season. What if I don�t report my income to the IRS? You should always report your income so that income can be verified for situations like renting or buying a home. Fraudulently reporting income to the IRS will be considered in the application process in determining your qualifications for being a good tenant. Bank statements can be used to verify consistent deposits over the last six months. Income must be verifiable. We may also request copies of W-2 or 1099-misc forms if it is near the prior tax season. During the application process a credit check is run and analyzed. General guidelines are that you must have no evictions and no chapter 7 bankruptcies within the last 4 years. Medical and education debt is not counted. Any debt due to a property owner or property manager will need to be confirmed paid before application can be accepted. Having more than five accounts payable or having less than 50% credit availability may result in a raise in security deposit or non approval of application. Application process is needed to determine if approval- we do not pre-screen. After my application is approved, then what? If no other approved applications preceed yours and the property is ready to move in, we will hold it for you for 2 business days. After 2 days, other applicants may have the opportunity to rent the property. How do I sign the rental agreement and move in? Everyone who will be living in the home that is 18 or older must apply and sign the rental agreement. Rental agreement signings are done by appointment for available units to approved applicants, so just call us when you are ready to schedule an appointment time. The first month's rent plus security deposit is due during the signing. This payment must be in money order or cashier's check, but all future rent payments can be personal check, money order or cashier's check. Cash is not accepted for rent payments. After signing, you will receive the keys and be in possession of the property. We do not sign for future dates. If you want to sign for a future date, a holding deposit may be an option to consider. All of our rental properties require a security deposit. The Security Deposit amount is generally equal to around one month's rent. Security deposits are used when you move out to restore the property to the condition it was when you moved in. If you were to leave the property in the same condition and to pay all your rent up to the day you turn in the keys, the full security deposit would be returned within 21 days of your move out. Security deposits are increased $450 per pet. Unless you sign and move in on the first of the month, your rent for your second month will be pro-rated in order to make your rent due on the 1st of each month. Pro-rate determines the rent per day and calculates an amount due since you did not move in on the first day of the month. The pro-rate amount is due on a specific date decided upon the signing of the rental agreement. When will my rent be due then? Rent will be due on the 1st of the month after the prorate month. There will be a late fee equal to 10% of your monthly rent for any rent received past the 5th day after the due date.